The Rajya Sabha is bidding farewell to Vice-President Hamid Ansari, the Chairman of the Upper House. Calling attention motion on problems due to floods in different parts of the country. The National Sports University Bill. The State Banks (Repeal and Amendment) Bill. The Requisitioning and Acquisition of Immovable Property (Amendment) Bill. The Central Road Fund (Amendment) Bill. The Public Premises (Eviction of Unauthorised Occupants) Amendment Bill. The Repealing and Amending Bill. The Appropriation (No. 3) Bill. The Appropriation (No. 4) Bill. The Banking Regulation (Amendment) Bill. The Indian Institutes of Management Bill. The Punjab Municipal Corporation Law (Extension to Chandigarh) Amendment Bill. The Central Goods and Services Tax (Extension to Jammu and Kashmir) Bill. The Integrated Goods and Services Tax (Extension to Jammu and Kashmir) Bill. The leader of the Opposition in Rajya Sabha Ghulam Nabi Azad bids farewell to Outgoing Vice-President of India Hamid Ansari. Prime Minister Narendra Modi calls Vice-President Hamid Ansari calls him a great diplomat and a dedicated leader. Thank him for his service as the Chair of the House. Prime Minister Narendra Modi thank him on behalf of both the Houses of Parliament. "I thank Vice-President Hamid Ansari for all his guidance and cooperation and wish him all the best for future," says Prime Miister Narendra Modi. Finance Minister Arun Jaitley bids farewell to Vice-President Hamid Ansari in Rajya Sabha. "We all will miss you. We will always miss you as the Chair of the House. We wish you good health and good luck for future. I wish him all the best. Hamid Ansari leaves us with great memories," says Jaitley. According to the bill, surrogacy is a practise where a woman gives birth to a child for an intending couple and agrees to hand over the child to them after birth. Under this bill, homosexuals, single parents, and live in couples are also not entitled for surrogacy. Also couples who already have children will not be allowed to go for surrogacy, though they would be free to adopt a child under a separate law. The bill allows surrogacy only for legally married couples after five years of marriage and with a doctors certificate stating that they are medically unfit to reproduce. Women within the age group of 23 to 50 years and men between 26 to 55 years will be eligible to opt for surrogacy. To check commercial exploitation and middlemen, the surrogate mother can only be a close relative, like a sister or sister-in-law who is married and has at least one healthy biological child. A woman can be a surrogate only once in her lifetime. A parliamentary standing committee on Health will present its report on the surrogacy bill today. The bill was introduced in November last year in the Lok Sabha. In January, the Rajya Sabha Chairman referred the legislation, as introduced in the Lok Sabha, to the Standing Committee on Health and Family Welfare for examination and a report on it. The legislation proposes to regulate surrogacy in India, prohibit commercial surrogacy and allow ethical surrogacy to needy infertile Indian couples. 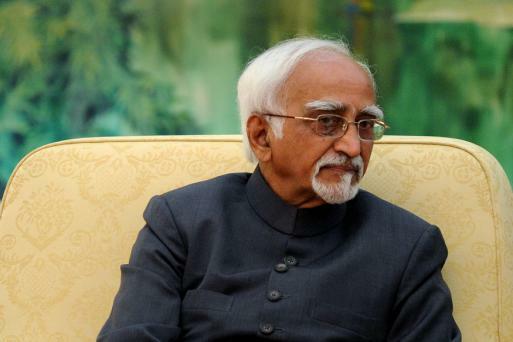 Vice-President Hamid Ansari is the Chairman of the Rajya Sabha.